Our 13-Day group tour journey through central and western Tibet will allow you to see the beauties of west Tibet with highlights three days 52km trek at Mount Kailash, and an overnight stay at Lake Manasarovar Chiu monastery. You will start by exploring the holy city of Lhasa for three days. You will begin by rubbing shoulders with thousands of Buddhist pilgrims as you work your way through the Jokhang, Tibet’s most famous temple. From there, you will explore Barkhor Square, Sera Monastery and the Potala Palace, Tibet’s most iconic building. From Lhasa, you will then journey through central Tibet to Yamdrok Lake, the Karo La Glacier, Gyantse, and Shigatse’s Tashi Lhunpo Monastery. From Shigatse, you will explore one of the unique beauties region Ngari in the far western Tibet. This fantastic landscape is home to Lake Manasarovar and Mt. Kailash. The 3-day trek around Mt. Kailash will undoubtedly be a highlight! From western Tibet, you will then make the journey back to Lhasa. This tour can also modify via ending at Nepal border town Rasuwa between Kyirong town. Below price is two people shared one room. If Travelers prefer to have a separate room, the cost is 400 US Dollar extra. 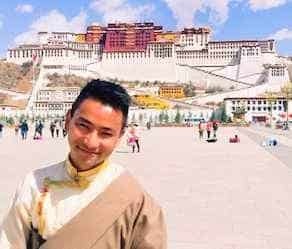 Upon arrival in Lhasa, you will be welcomed by your English-speaking Tibetan Guide and Tibetan Driver who will bring you to your hotel. Acclimatization to high altitude: please, drink lots of water and take plenty of rest to minimize altitude sickness. Today we visit the beautiful Potala and Norbulingka Palaces. Potala Palace was built in the 17th century by the fifth Dalai Lama. Provides amazing views of the entire city and houses the private quarters of the Dalai Lama, numerous grand state rooms, and chapels. Norbulingka Palace is the summer palace of the Dalai Lama, built in the 18th century by the seventh Dalai Lama. It’s tradition to do a picnic in its beautiful garden and perform opera dances during Shoton Festival (August-September). We visit Sakya Monastery which is is the principal seat of Sakyapa Sect founded in 1073 and one of four major Schools of Tibetan Buddhism. Its powerful abbots governed Tibet during the whole of the 13th century until they were eclipsed by the rise of the Gelukpa Sect. Its Mongolian architecture is different from that of temples in we have seen before. Later travel to Saga town via Lhatse, Namring, and Sangsang town. On the way, we will pass by beautiful nature and the Namring Lake. 80 queries in 0.284 seconds.